Dependable, everyday sheet runs efficiently through all office equipment and delivers good image contrast for easy readability. The precise, accurate sheeting, consistent moisture content and curl control ensure smooth, trouble-free performance. This versatile, multipurpose office paper offers a 20 lb. basis weight and is acid-free for added archival quality that extends the life of the document. 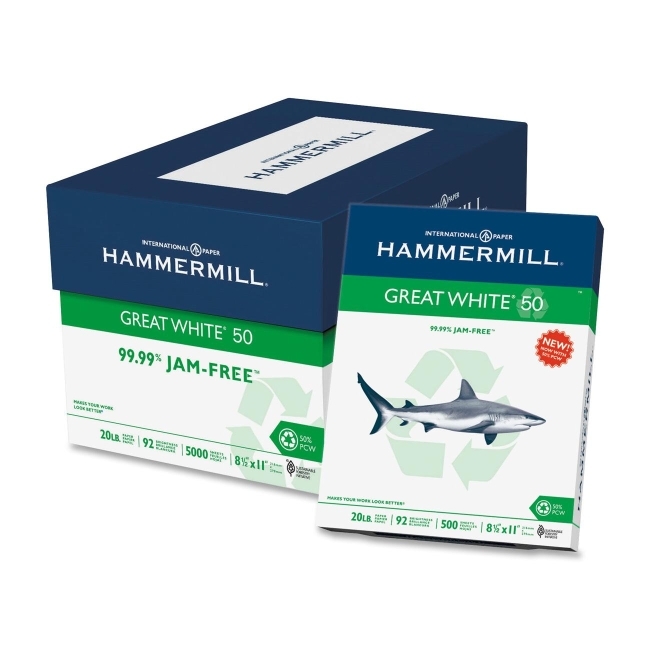 99.99 percent jam-free Great White Copy paper is designed for use with small and large offset presses, copiers, laser printers, inkjet printers and fax machines that use plain paper.